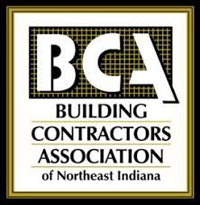 For over 100 years, the Building Contractors Association has served its membership and the commercial construction industry of Northeast Indiana. The BCA acts as a strong voice to local government and community leaders, provides networking and education opportunities, and tracks the pulse of industry, economic, and national trends and how they affect the local community. The Home Builders Association of Fort Wayne is a federally approved not-for-profit local trade organization. Their goal is to promote a positive atmosphere for the building industry by providing educational opportunities commensurate with member needs, communicating the latest trade and technical information, interacting with all government entities, providing promotional opportunities for members and their products thereby promoting the building industry, and by providing social and fraternal activities for members.